The Notorious Part 1 | The Comeback May 29, 2015 (21:05) After rising star Conor McGregor injures his knee in just his second UFC fight, "The Notorious" must deal with his physical limitations. With the expectations of Irish fans weighing on him, McGregor prepares to return to competition in a hometown headlining bout. The Notorious Part 2 | The Fight Business May 29, 2015 (21:03) UFC featherweight Conor McGregor continues to develop as a fighter, a publicity machine and a businessman as he ventures to Las Vegas to promote his next bout. 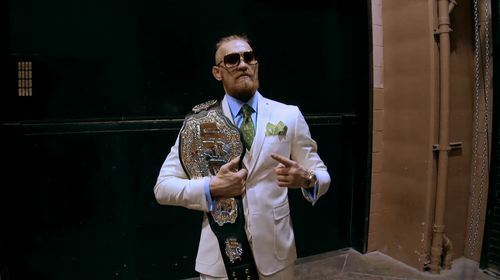 The Notorious Part 3 | The Takeover May 29, 2015 (21:02) Brash phenom Conor McGregor takes Las Vegas by storm as he makes his first appearance on a UFC Pay-Per-View, a main card bout against fearless scrapper Dustin Poirier. 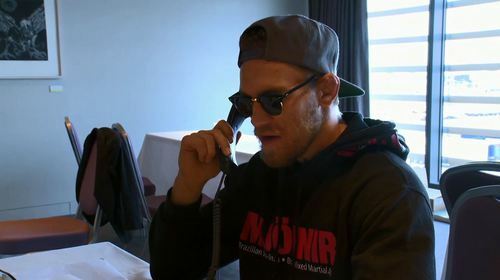 The Notorious Part 4 | The Suite Life May 29, 2015 (20:59) After defeating his opponent at UFC 178, UFC featherweight Conor McGregor emerges as a bona fide superstar, with the luxurious Vegas trappings to match. And his newfound fame follows him around the world, from Dublin to Rio. The Notorious Part 5 | Body & Mind May 29, 2015 (20:59) Irish upstart Conor McGregor reveals how skill and mental strength have brought him success both inside and outside of the Octagon. He then journeys to Boston for a headlining bout that he's confident will be another victory. 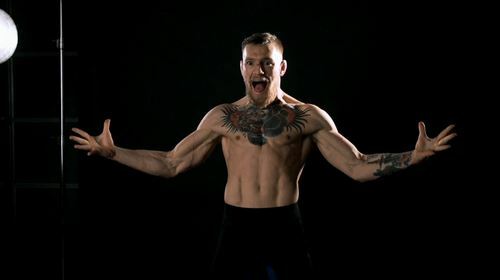 The Notorious Part 6 | Tell Jose I'm Comin' May 29, 2015 (20:59) Irish upstart Conor McGregor reveals how skill and mental strength have brought him success both inside and outside of the Octagon. He then journeys to Boston for a headlining bout that he's confident will be another victory.